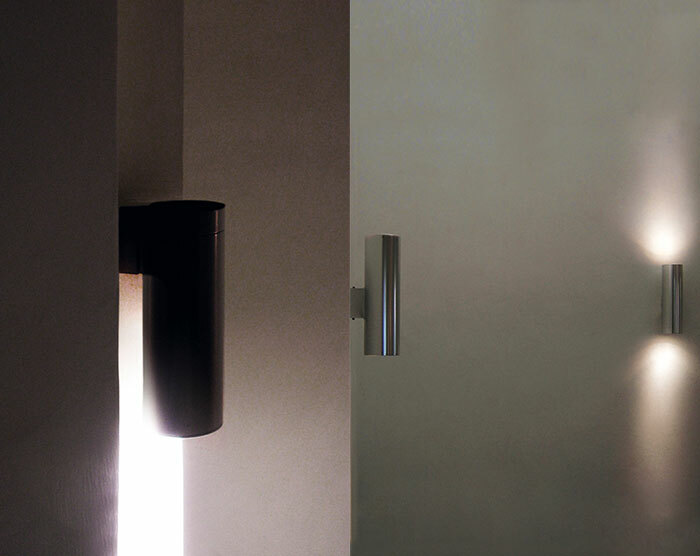 wall light fixture for interior and exterior use IP44 made of polished or white, grey, black or bronze painted aluminium. 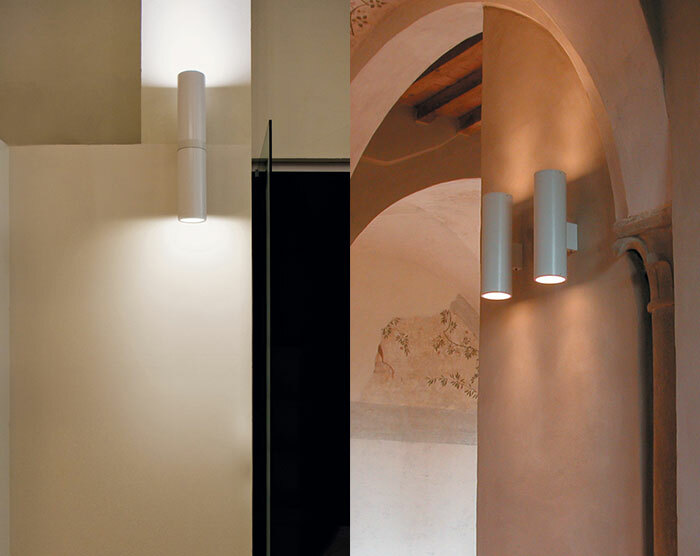 dimensions profile: available in 200mm and 400mm with E27 lamps. the pr 40 version is supplied with a double emission wiring kit. not to be used with coolbeam lamps.